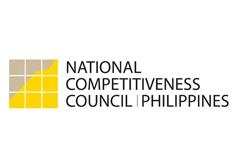 The Pasiglahin ang Estudyanteng Pinoy (PEP) is a supplemental feeding program organized by the National Competitiveness Council (NCC) in partnership with Kabisig ng Kalahi and Department of Education (DepEd). Its objective is to improve the nutritional levels of public school students and eradicate malnutrition which is one of the major causes of students’ dropouts. Studies have shown that poor nutrition in children leads to lower IQ, poor school attendance, and lack of interest in learning. These make the affected children prone to stop schooling. Presently, according to DepEd,there are more than 5 million undernourished students in public schools. Beneficiaries of the program were DepEd-selected schools with the highest incidence of malnutrition. Each school was given 90 kilos of milk and/or 60,000php for 120 days feeding program of their 30 chosen recipients. Since the start of supplementary feeding program, it benefitted a total of 19,528 undernourished students from 572 schools nationwide. The menu used by the school canteens in preparing the meals were based on the approved nutritional guidelines. •Healthy relationship between the program administrators (teachers, nurses, etc.) and the parents through camaraderie and cooperation.